Floral Nails for the #31DC2016Weekly - Polish Etc. 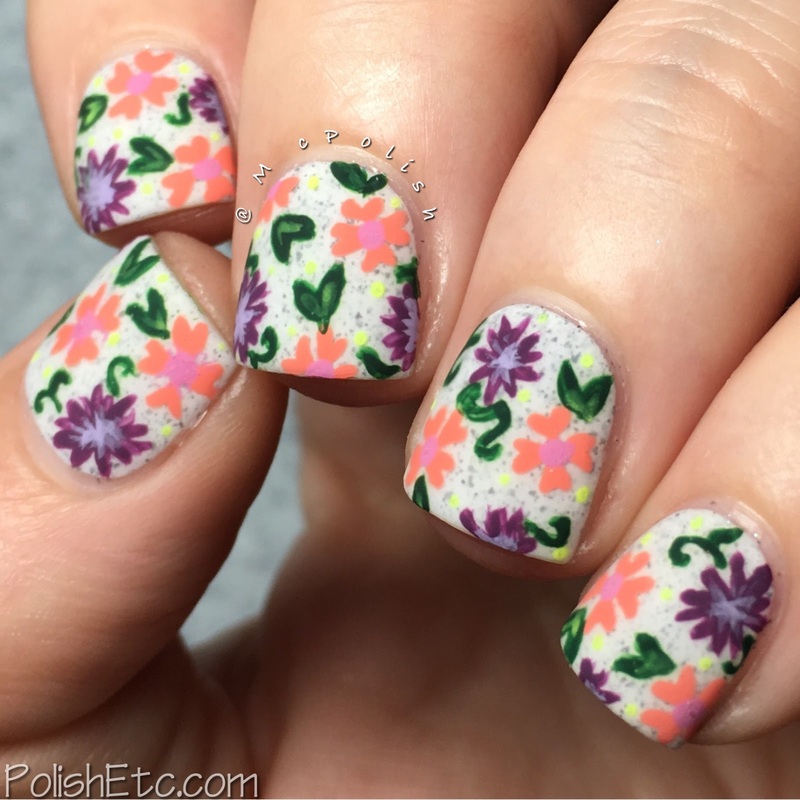 This week for the floral nails prompt, I wanted to do some more hand painting. I got my inspiration for this mani from an incredible nail artist on Instagram, Katharina at @cottonconey. She does such cute floral and cartoon designs and I just love them. Mine did not turn out as perfect and tiny as hers do but I was happy enough with them to share with you today. I started with a base of Cirque Colors "Hatch". It is a white crelly with black and grey flecks. Then I used acrylic paints and a teeny tiny brush to create the flowers. I did some coral and pink flowers and some purple and lavender flowers. 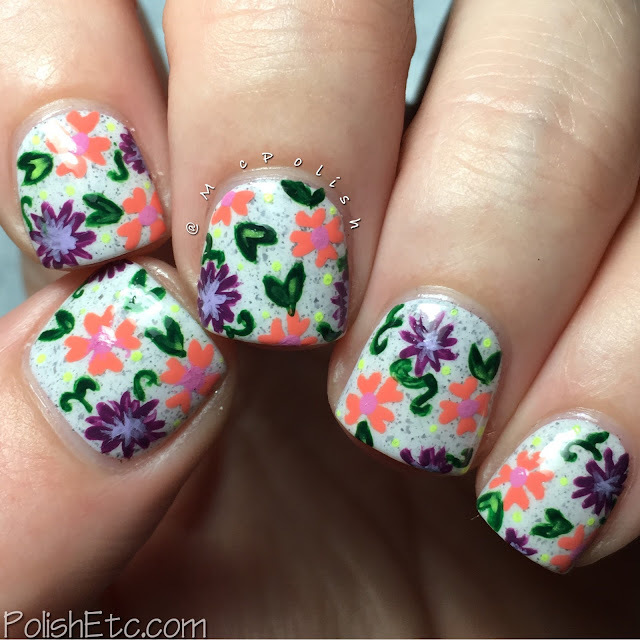 I like the flowers but don't love the leaves/vines I did. Oh well. I did add a few teeny neon yellow dots in there, too. Glossy top coat always looks nice but I wanted to see it mattified. Katharina mattes her manicures a lot. It really cuts down on glare that blocks the detail of the mani. Do you like the glossy or matter version better? And then I just wanted to show you Hatch alone. This is two smooth coats with a glossy top coat. I bought this when it was originally released last Spring in the Awakening Collection. Cirque Colors re-released it this Spring with their Speckled and Sparkle Collection. I love it! I like to hand pain but I feel I need a lot of practice still. Most of my nail art is pretty simple but the detailed designs are just so pretty! 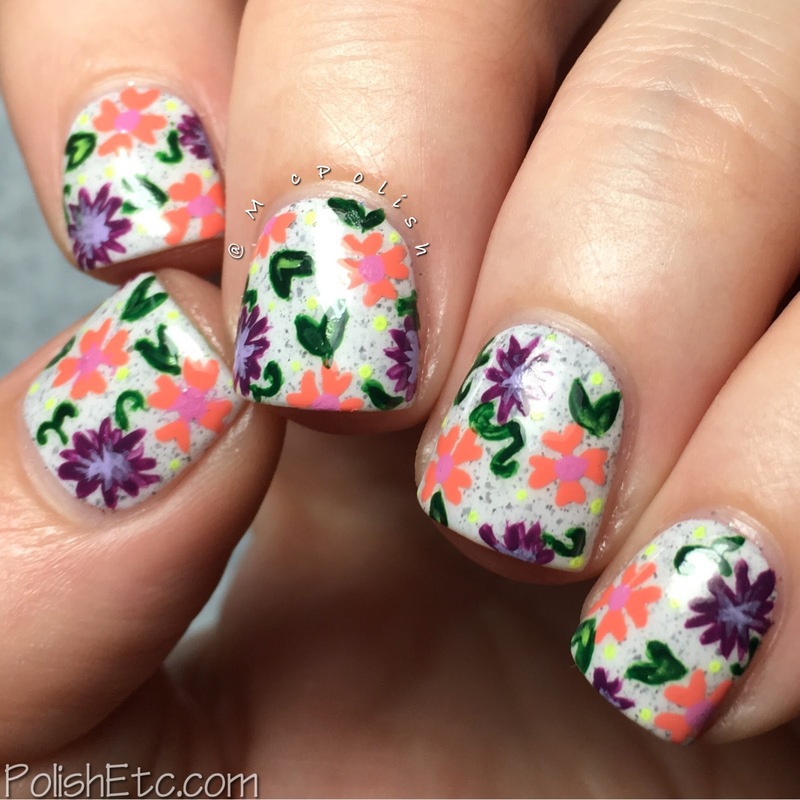 There are a ton of other great floral manicures out there for the challenge this week. 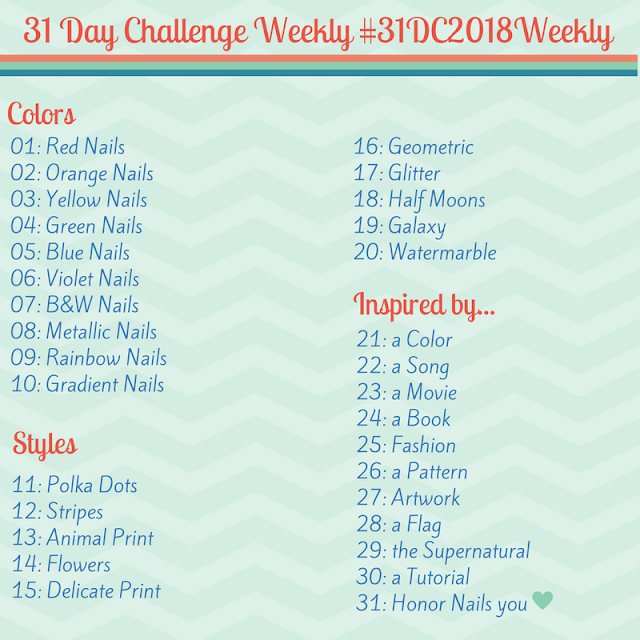 Check out the tag #31DC2016Weekly on Instagram, Twitter and Facebook to see them. And please feel free to join in any week if you want to play along!